So called trimalleolar fracture is a misnomer - there in only the medial and the lateral malleolus, the third malleolus refers to posterior edge of distal tibia. 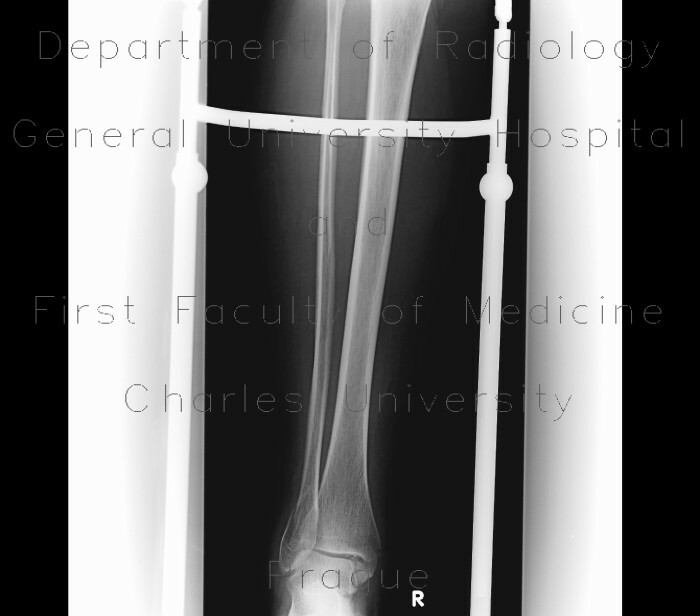 Oblique fracture of distal fibula (lateral melleolus) with mild distraction of fragments. Fracture of medial malleolus with mild translation laterally. Fracture of distal posterior aspect of the tibia with mild distraction. Dorsal subluxation of talus.